Rental Application – Form that requires the potential lessee to enter their personal, financial, and employment information in order to see if they are approved by the landlord for tenancy. Commercial Lease Agreement – For an arrangement between a landlord and tenant for the use of business property. 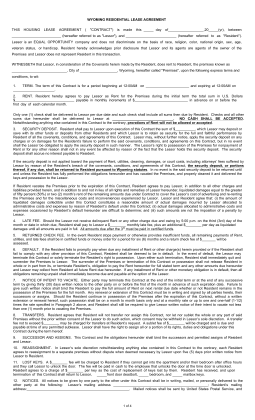 Lease with Option to Purchase Agreement – Common residential contract with a right for the tenant to buy the space/property at an agreed upon price. Month to Month Lease Agreement – Contract for residential tenancy that has no end date. The landlord and tenant should negotiate the term for how much time is needed to cancel the agreement as there is no State requirement. Room Rental Agreement – For individuals living in a home with shared space such as kitchen, living room, porch/patio, outside areas, etc. The contract creates a common agreement amongst the persons in relation to cleaning, expenses, utilities, and other fees/charges. 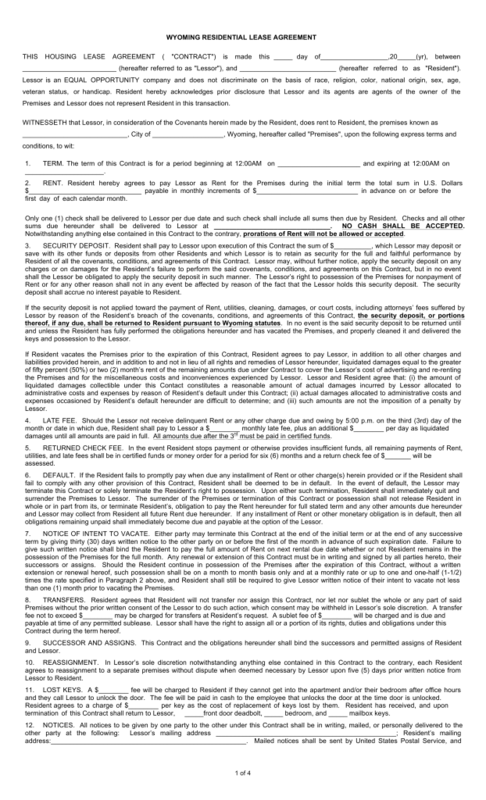 Standard Residential Lease Agreement – Typical contract that is for fixed dates usually one (1) year. This is the most popular type of agreement. Sublease Agreement – For a tenant that is seeking to rent the same space they are bound to in a lease with the landlord. Usually the landlord must approve this type o tenancy. Termination Lease Letter – Notice that is given either to a landlord or tenant to give their official intention to cancel a month to month arrangement. Lead-Based Paint – Federal law requiring landlords of properties constructed before 1978 to handout a guide on how to watch or lead paint inside the property. Nonrefundable Fees (§  1-21-1207) – If any part of the security deposit or any other such fee is non-refundable it must be specifically stated in the lease. There is no State law requiring the landlord to give the tenant notice prior to entering the property. Maximum – There is no State maximum. Landlord may request as much as desired. Returning (§ 1-21-1208(A)) – The landlord is to return the deposit within thirty (30) days of lease termination or fifteen (15) days of receiving receipt of the tenant’s forwarding address, whichever is later.